A blockchain winter is coming, as enterprises continue to struggle to find useful ways to use the technology. This is according to Rajesh Kandaswamy, who is a chief of research and leads Gartner's blockchain centre of excellence. He said during the research firm's Symposium/ITxpo in Cape Town this week that he expected a 'winter' because of the large gap between the hype surrounding the technology and the reality of today's business world. It can be compared to the 'AI winter' which lasted from the late seventies until well into the eighties, in which funding for artificial intelligence dried up. 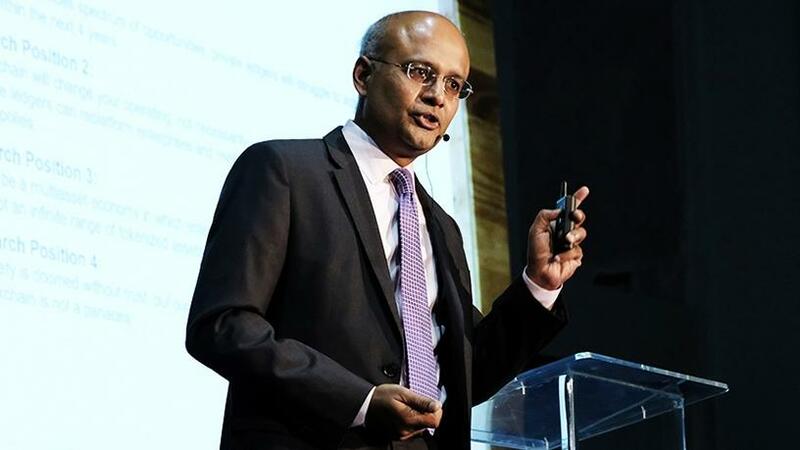 Kandaswamy told ITWeb yesterday that blockchain technology is not ready to be applied to "big use cases". "The places where blockchain is applied is on the fringes of a firm, such as with its partners or suppliers." Adoption is low, he pointed out: the number of CIOs who said they have adopted, or will adopt in the next 12 months, is 11%. While banks are among the earliest adopters, he said they were probably not going to be the ones which reaped the early benefits. Changes to core banking systems would "take years". "It's not easy. What I tell my clients is that it's difficult to call these early attempts use cases. Where we see more traction is in the supply chain, and with [proving] identity." Kandaswamy said with all the hype surrounding blockchain technology, "people start what we call 'pointless proof-of-concepts (POCs)'. We believe 80% of the blockchain use cases or POCs that are being tried will die." However, he noted that other technologies, and the Internet itself, had also suffered from exaggerated hype and subsequent disillusionment, adding he expected it would take between five years and a decade before widespread blockchain adoption. What will drive adoption, according to Kandaswamy, is if a large credible enterprise begins to deliver a blockchain project with real business benefits. "I do think the technology is fascinating and it has disruptive potential. I think we need some proof to show it's transformational."